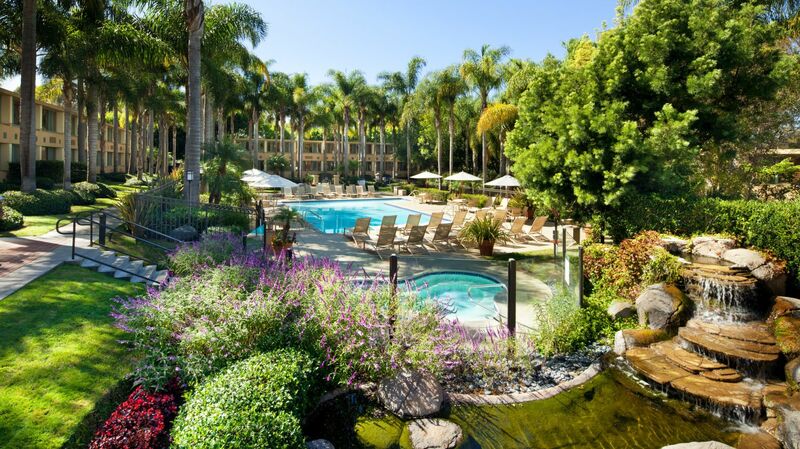 Experience a warm, southern California welcome at the Sheraton La Jolla Hotel. This low-rise, resort-style hotel is nestled among 7.5 acres of tropical beauty just ten minutes from spectacular beaches, romantic La Jolla Cove, and the world renowned Torrey Pines Golf Course. 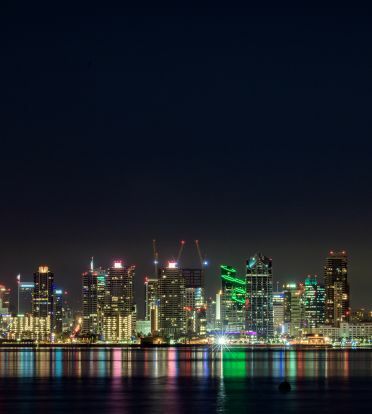 The Sheraton La Jolla Hotel is located in the heart of La Jolla's business triangle, near some of the best hospitals and medical research centers in the U.S, and yet theaters, restaurants, and shopping are all just steps from the hotel. The spacious pool area, complete with waterfall and koi pond, is an ideal place to unwind after a day of business or exploration. Keep up with your workout routine at our complimentary 24-hour fitness room, and stay connected with free wireless Internet access. Enjoy a sumptuous meal at Humphreys La Jolla Grill, or gather with friends and colleagues for a cocktail, light meal and great entertainment at Shooters Bar & Grill. Exclusive Sheraton Club rooms with upgraded amenities and access to the Club Lounge with complimentary continental breakfast, evening hors d'oeuvres and a variety of beverages.